Two Tennessee Lawyers. 60+ Years’ Combined Experience. We have recovered millions of dollars for deserving individuals and families throughout Tennessee. Our Memphis law firm has a history of not guilty verdicts. See how we may be able to fight for you. Backed by decades of legal experience, we can help you navigate every step of the legal process. Call now! Whatever overwhelming odds you may face, we are here to help and to give you hope. At the Law Offices of Stephen R. Leffler, P.C., we have represented people accused of misdemeanors and felonies in Memphis and Western Tennessee since 1985. Whatever the legal problem, you are up against a powerful opponent, be it tireless creditors, big insurance companies, or even the Tennessee or U.S. government. You need a skilled lawyer. Our Memphis criminal defense & personal injury attorneys have consistently delivered positive results for our clients, despite the considerable odds. Our friendly legal team gets big firm results. We encourage you to see what our caring legal advocates can do for you. Call (901) 509-9112 or email us today to schedule your FREE consultation with our Memphis law firm. 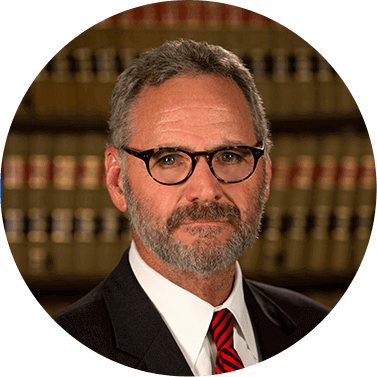 For more than three decades, Mr. Leffler has helped clients throughout Tennessee with complicated legal issues from criminal defense to civil litigation. A trial lawyer and a Rule 31 General Civil Mediator, Mr. Leffler is a member of the distinguished Million Dollar Advocates Forum® and a proven criminal lawyer in Memphis, TN. Our law firm is housed in one of the storied buildings of Memphis’ Victorian Village. Constructed around 1852, the building was eventually purchased by the notorious General Gideon Johnson Pillow. In 1880, the property was bought by Peter McIntyre, who created Memphis’ very first glucose refinery. With well over century of history, this pre-Civil War house is one of the few Greek Revival homes in Memphis to have survived the conflict, and it has remained through yellow fever breakouts, urban renovations, and more.